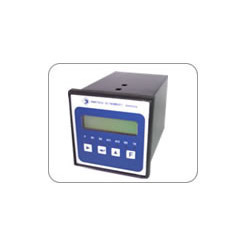 Our product range includes a wide range of batch controller. 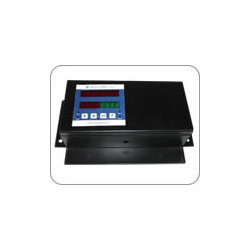 In order to fulfill the changing demands of clients, we have been engaged in offering Batch Controller(96*96, LCD Display). These products ensure the most user friendly interactions by our user, which incorporates low drift operational amplifiers and industrial grade components for long trouble free operation. To ensure its untroubled operations, these products are manufactured by making use of qualitative raw material and latest machines. Pantech Instrument’s Model 855V represents Batch Controller / Flow Indicators & Totalizer (Wall Mount Enclosure) for flow applications where single flow signal is available. Model 855 is an ideal instrument for controlling amount of material flow in every batch. The input signal can be a current/voltage/linear signal from a flow transmitter or pulses from turbine meters. It can also be Universal input type, where user is allowed to select and configure the input signal. The analogue signal is square rooted if required, and similarly for digital pulses Litre/Pulses ratio (i.e.K factor) can be adjusted to achieve precise measurement of flow and hence batching. The desired counts or the Batch Value (S) are set through push button switches given in front of instrument. The relay(s) is/are energised to start the flow and batch counter starts. When set batch counts are reached, relay (s) get de energised as per the batch-relay settings and the flow is stopped. The cycle repeats when start button is pressed again. The flow can be interrupted during the working cycle by pressing stop button and again started by pressing start. Looking for Flow Controller ?